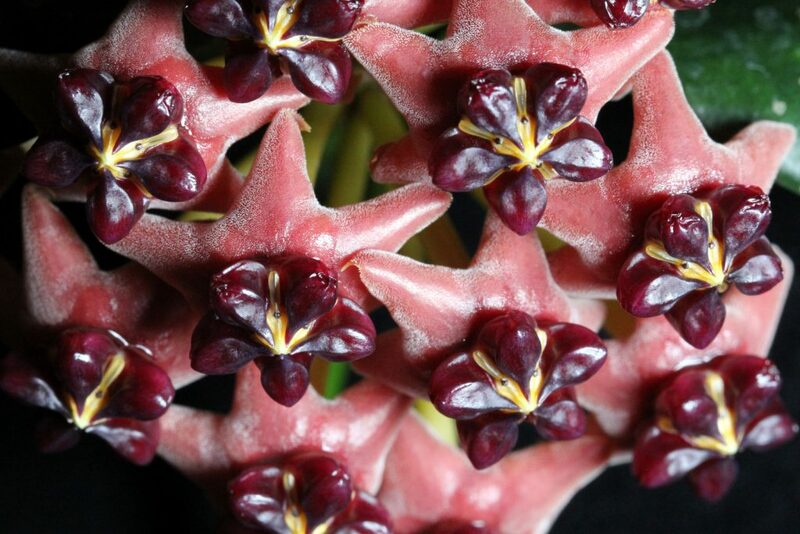 Hoya lobbii is another one on my top ten list of best Hoyas for this area of the country. A tough, tough plant that can really take conditions that would do in many other Hoyas in the Northeast. 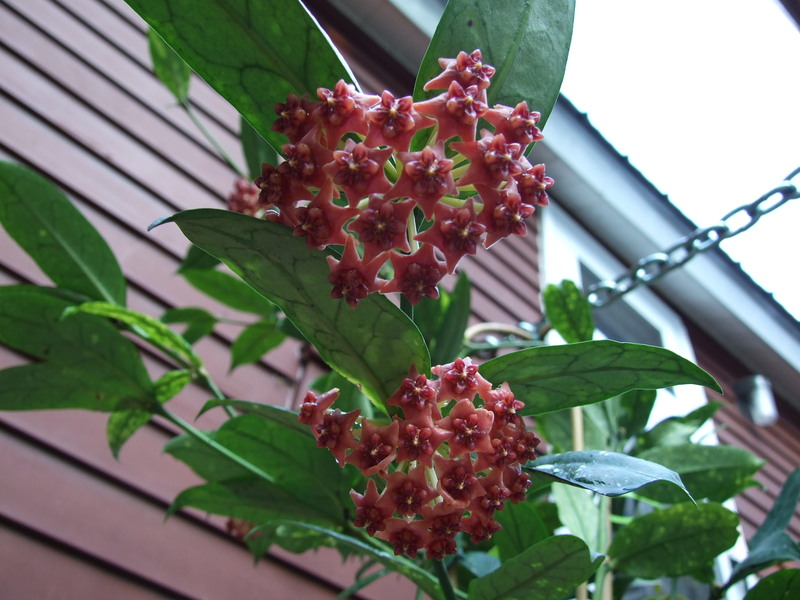 It is a native of Thailand, a shade loving plant that blooms much of the year and won’t let you down. 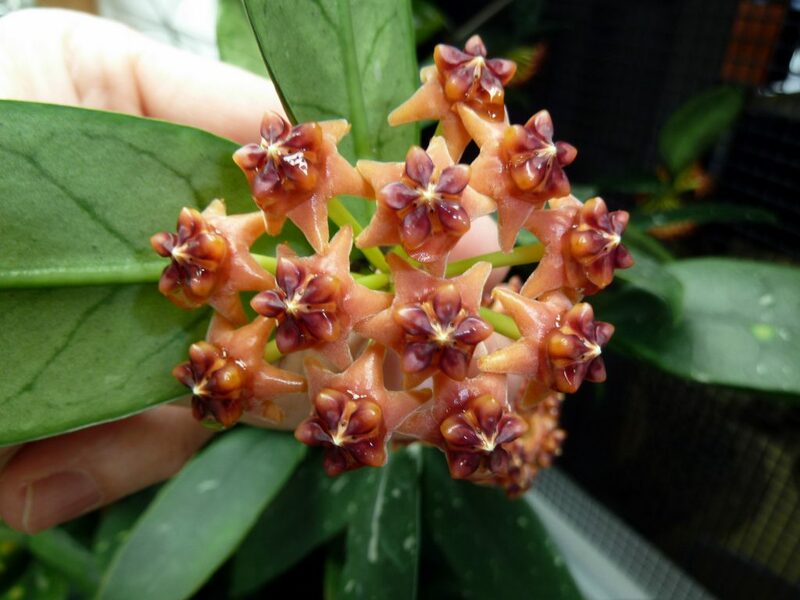 There are several color variants of this plant; I currently have three of them – Orange, Pink, and Cream. 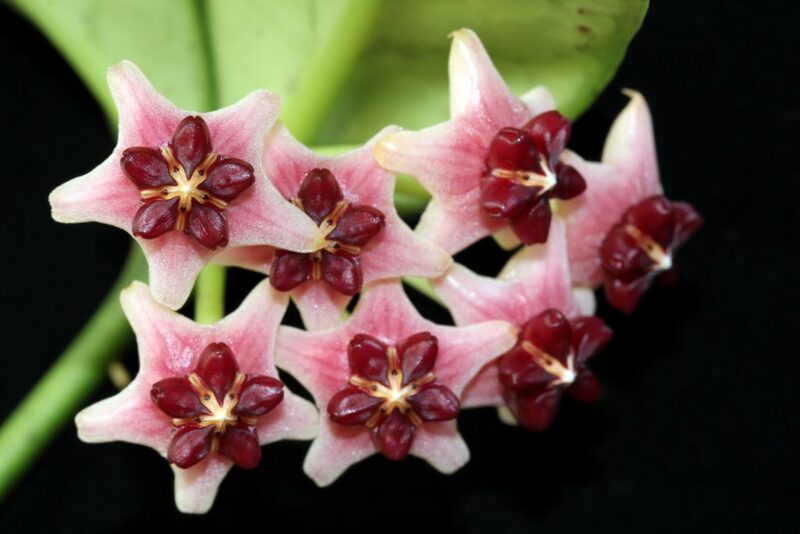 Hoya lobbii is a non-twining Hoyas that grows best tied to a trellis to help keep it upright. It is capable of getting very large. I have one that is over three feet high and another that is over four feet tall. For the size of the plant they have relatively small root systems, and I find that they do not need to be transplanted as often as other Hoyas.